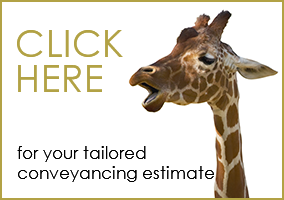 We do not have a fixed cost for all conveyancing transactions, costs will depend on a variety of factors including the value of the property, if it is leasehold or freehold or if it is a new -build property. Please see our table of prices. We will advise you in more detail of any extra charges when we receive your documentation. It can be faster or slower, depending on the parties in the chain. For example, if you are a first time buyer, purchasing a new build property with a mortgage in principle, it could take 6 weeks, if the property is ready for occupation. However, if you are buying a leasehold property that requires an extension of the lease, this can take significantly longer, between 3 and 6 months. In such, a situation additional charges would apply. How long it will take from your offer being accepted until you can move in to your house will depend on a number of factors. The average process takes between 6-12 weeks. It can be quicker or slower, depending on the parties in the chain. For example, if you are a first time buyer, purchasing a new build property with a mortgage in principle, it could take 10 weeks if the property is ready for occupation. However, if you are buying a leasehold property that requires an extension of the lease, this can take significantly longer, between 3 and 6 months. In such, a situation additional charges would apply. We charge a flat fee of £350.00 plus VAT.